Hey folks! Apple has been hard at work this last year, and yesterday they talked at length about it. There’s a lot to cover so I’ll jump right in. I’ll try to throw in my own thoughts as we go; this will be a rather subjective round-up, so buckle your seat belt! 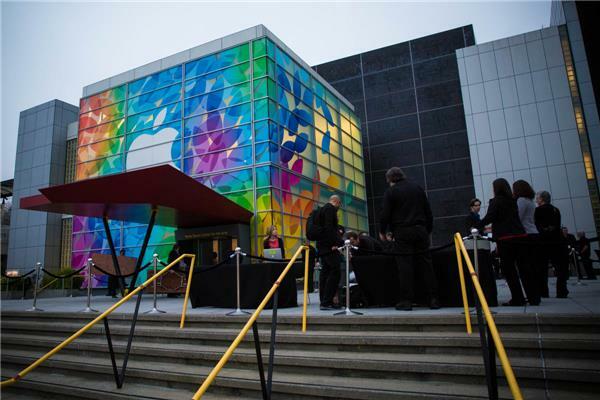 The latest iPhone and iOS7 release was one of the biggest events ever, and rightly so. Apparently 9 million iPhones were distributed, iOS7 was installed onto 200 million devices in five days (from a server standpoint, that’s insane), and 64% of the iOS devices around the world are currently running iOS7. iTunes radio was apparently a far larger success than I had previously imagined, and 1 billion songs were listened to (not entirely sure why that number is important). On the App Store front, there are now one million apps available, there have been 60 billion app downloads, and $2 billion was earned by developers since July. Impressed by the large numbers yet? Well then maybe you’d like to know that 170 million iPads were sold, and 100 thousand iPad apps have been downloaded since July. This is the part of the press conference that everyone politely sits through, maybe raises their eyebrows at a thing or two (I mean 200 million iOS7 downloads in 5 days, mother of pearl), and then sit up in their seats as they segue into new announcements. At this point, I don’t think anyone is trying to disqualify any of Apple’s claims. They’re doing pretty well, you guys. 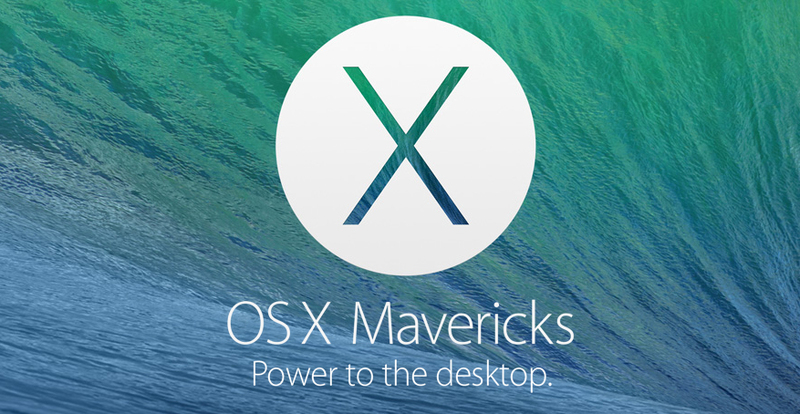 To kick off the announcements, it appears that OS X Mavericks, the successor to the desktop OS X Mountain Lion (10.9 to Mountain Lion’s 10.8) is totally out now, free of charge. It would make sense that this iteration would be out by now, but the free part is something I find interesting. As someone who purchased a Mac right in the middle of the whole Leopard-to-Snow-Leopard debacle, it’s nice to see a hefty update that only requires a simple internet connection. The update will work on iMacs and Macbook Pros from 2007 and up. It boasts some pretty neat updates like increased battery power on new and existing systems (this is a sticking point for me), and “better graphics”; whatever that means. My only issue so far is that a Maverick isn’t a cat, like Leopard, Snow Leopard, Lion, Mountain Lion, etc! But I can’t have been the only one on the internet to have thought of that. Let me check real quick. Yep, it’s nigh impossible to have authentic quips on the internet these days. You can expect a thinner 13-inch Macbook Pro with Retina display, and a new 15-inch Macbook Pro with Retina display as well. The 13-inch has the fancy new Intel Haswell processors, and the 15-inch has graduated up to Intel Quad-Core processors, both of which sound nice and speedy. Their boast is 8-9 hours on a single charge, which sounds real nice. They did some tinkering under the hood in terms of graphics. The 13-inch model feature “new integrated Intel Iris graphics [that] deliver up to 90 percent faster performance than the previous generation Macbook Pro with Retina display,” and the 15-inch model also has the Intel Iris graphics, along with “Iris PRo and GeForce GT 750M discrete graphics with 2GB of video memory for the ultimate in performance.” You all understand, of course, that the “ultimate” part had to be left in. This marks a pretty big improvement in graphics, from a Mac perspective. I can’t speak to how big, since I’m not up to speed on how efficient Retina display Macs are, nor have I used one. Both the 13-inch and 15-inch models began shipping yesterday, at $1,299 and $1,999 respectively. Well if you were hell-bent on getting a Retina Macbook Pro, your options are slightly better. Yes, it’s still one of the most expensive laptops on the market, but Apple has certainly upped the ante and made the purchase much more appealing. The new Mac Pro, since its unveiling, has really fascinated me. The idea that you can get the latest, newest, shiniest, speediest Mac and conceivably throw it in your backpack at the end of a work day to take your work home with you is crazy! I mean the thing has dimensions comparable to an 8.5”x11” sheet of paper! That being said, that’d be a lot of money to put on the line, but I guess I’m more blown away by the size of the thing, having several old G3s G4s lying around the house. Apple announced that the base model will be available for $2999 and will be shipping before the year is out. I would highly recommend following up on the specs of this thing. iLife is also getting revamped. Along with being bundled into every new Mac purchase, Apple announced that iLife will be updated heavily on both iOS and Desktop. iOS versions are getting the heftiest updates, as options are being expanded to be able to compete with the desktop clients. The one I’m most excited for personally is GarageBand. GarageBand has proven to be a beautiful little iPad app, for someone like me. The new version will now support 16 tracks on all devices (32 tracks on iPhone 5s, thanks to it being a 64-bit device), and in-app purchase of performance instruments in “Drummer,” which was digital instrument that was originally exclusive to Logic Pro X. This is wonderful, as both iPads are comparable in size to other digital drum kits and MIDI Controllers. iWork got a similar update as iLife, which is wonderful since its been several years since iWork has been updated. Overall we can expect a shiny new redesign, along with the integration of collaboration, which allows documents to be shared across all devices. All iWork documents will also be viewable on PC through a browser, thanks to support from iCloud. It appears Google Docs has set a precedence! And the fancy new iPad this year is … the iPad Air! This baby has a 43% thinner bezel and a 9.7-inch Retina display. Its 20% thinner all around, and weighs exactly one pound (I’ll bet they were pretty stoked to see that number pop up on the scale). It also has a 5 Megapixel camera for capture video of the highest quality, with an improved camera in the front for a better FaceTime experience (I imagine this was inevitable, what with Retina displays being added to everything). Under the hood, things are looking pretty nice. It has an A7 64-bit processor (32 tracks in GarageBand, you guys), boasting more powerful graphics and performance. If I had to guess, looking at this image of a college-age guy holding an iPad Air, the Air was designed to have the screen size of the current iPad with the one-handed nature of the iPad Mini. But that’s just my guess. These bad boys will start at $599. They’re not quite done with the iPad 2 yet, as they’re still listing it for $399. And it’s weird. 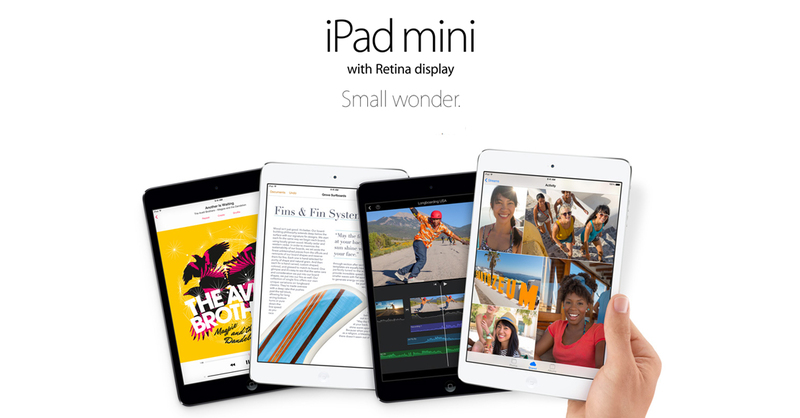 The iPad Mini with Retina display was probably the easiest call of this event. It’s loaded with that 64-bit A7 processor that’s packed into the new iPad Air. Expect it this November, with SKUs ranging from 16GB ($399) to 128GB ($699) in both Space Gray and Silver. Cellular-capable versions go up to $829. T-Mobile is a new carrier as well, so if you’ve had good experiences with them in the past, you now have that option. While I wouldn’t say we were too outrageously blown away by yesterdays event, we certainly weren’t bored. There was a lot more under-the-hood work done than I was expecting, which is hopeful. It’s certainly nice to hear that the new MacBook Pros will have a little extra juice, as I’m more inclined to use applications that ask of lot of my CPU. If I wanted a glorified internet surfing machine, I would have got a Chromebook. The new iPads seem neat, as they’ve made me a believer in the whole tablet movement. All in all, it wasn’t a slow news day, and it’s a good sign that Apple still has a few tricks up it’s sleeve. Are You a Cybersecurity Warrior? great article about the Apple products. I am a big fan of Apple devices. I have an iPhone and an iPad. Thanks Mushfiqur for sharing this with Klinkk community. The iPhone and iPad are a great pair, and a MacBook only makes the set better!